This page discusses our product, Arrivala. The best review & business reputation marketing service on the market. Learn more below. Introducing Arrivala. Reviews & Reputation Management. Collecting online reviews have become an essential component of running a business. 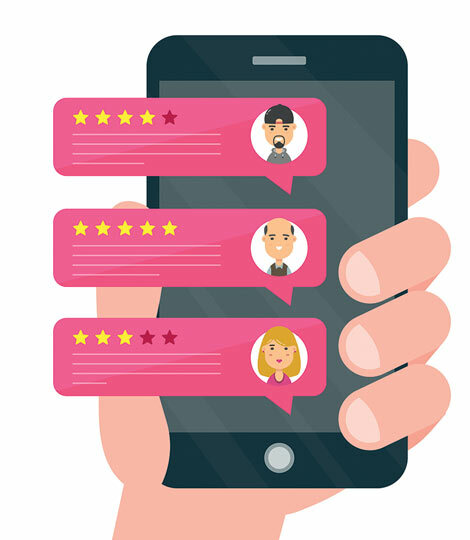 In a recent survey by INC., it was found that 84% of people trust online reviews as much as feedback from friends. However, over 90% of online review profiles contain less than 5 reviews. As a business owner, it's difficult to find the time to collect reviews for a half-dozen or more online business profiles. Even more so, how do you limit and prevent the negative reviews from harming your reputation? Arrivala solves this problem by automating the review collection process and filtering negative reviews to preserve your business reputation. Interested in signing up for Arrivala? Sign-up for free! You can get started instantly and begin sending review requests today.